One of the games I am excited about is Hoard. Hoard is a debut title from Big Sandwich Games and has the gameplay of the classic arcade games with the structure of a board game. Hoard promises a unique and addictive experience. The game was out earlier on PlayStation Network last November and comes out today on PC at a sale price of $7.50. The price is not bad but this is a one pack price. So a four-pack price is set at $27 if you want to get your friends to the game. The game also supports Steamworks, so one purchase will get the game on your PC and Mac systems. 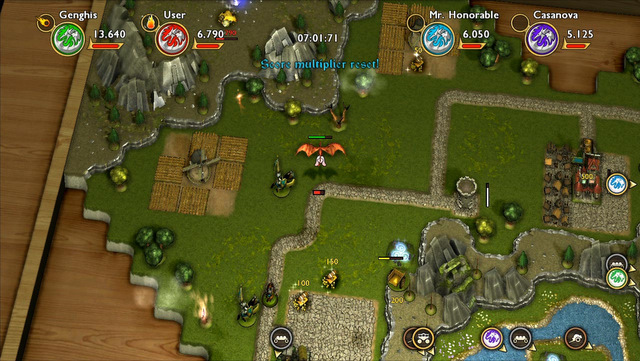 In Hoard you control your dragon and will be terrorizing towns and small villages. You will be burning down castles, crops and carts will give you gold. 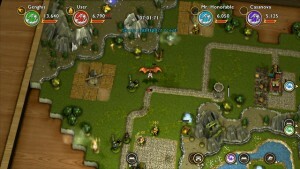 The whole idea of the game is to be able to gather as much gold as possible within a ten minute period.